As a committed optimist, I’m convinced that the warmer weather is here to stay. And so as summer menus change to emphasise lighter, seasonal summer fayre, our thoughts at home also turn to BBQ’s, fish, seafood salads, asparagus and strawberries and cream – in other words, nothing too heavy or filling please. With that in mind, I have been thinking about some suitable wines that would work with the versatile flavours we encounter in the summer. Some ideas: if you crave BBQ’s or grilled red meats, then you”ll need equally robust, strong flavoured wines to match the food – Malbec or a good Syrah is a BBQs best friend. If, however, you crave nothing but lighter salads during the summer months, then keep the wine pairing simple. Vinegar in salad dressings destroys the flavour of the wine so if you want salad as a meal then we recommend dressing the salad with a little white wine or lemon juice. Sauvignon Blanc makes a nice accompaniment to salads or, if you are pushing the boat out with Salad Nicoise then drink a good Provencal rose for a real treat. A prawn salad calls out for a dry, rich white – New Zealand Chardonnay, Riesling or Sparkling is a good match. Another important thing to consider when pairing wine with food is the sauce, often a much more important factor than the meat itself. Tomato based sauces for example will obliterate fine red wines, young fruity wines like Zinfandel are a better bet. Marinades and sauces require strong, robust wines. It would be hard to imagine a more perfect warm-weather aperitif than this elegant, salmon pink coloured rose from Franciacorta producer Ferghettina. A lighter rose style from Italy’s Lombardy region, it seduces you with its soft scented strawberry, raspberry and citrus aromas and flavours. Enough said. Bruno Paillard produces a sublime, fruity and elegant 100% Chardonnay Champagne that never fails to seduce with its mineral, citrus fruit and full bodied palate. Indeed, Paillard’s Blanc de Blancs is one of the finest I have ever tasted, a glamorous way to start any picnic lunch. Another delicious Blanc de Blancs from renowned family producer Gremillet, offers powerful aromas of white flowers, nougat and citrus. It screams aperitif. It’s from Spain, but don’t expect Cava – this is better! Conca del Rui Anoia is an emerging region situated south of Barcelona, producing world-class, delectable sparkling wines. The Raventos family have teamed up with Harvey Nichols to make a zesty, moreish fizz, bursting with citrus fruit and a fine mineral tension. Another superstar fizz from Raventos I Blanc, their Manuel Raventos label contains the best wines of the vintage, and boy does it show. Rich, complex, refined and exceptionally long, this is the answer to the question – Can Spanish sparkling compete with Champagne? 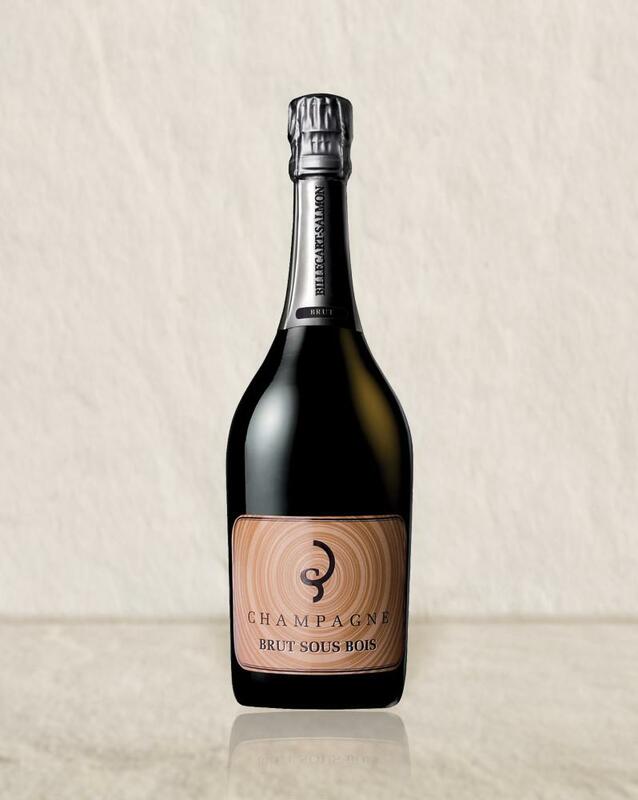 A top-notch producer, Billecart Salmon make a truly exceptional Champagne that is entirely vinified and aged in wood – “Sous Bois” literally means “under oak.” The resulting fizz is rich is texture and body, offering explosive notes of coffee, caramel, vanilla and spice. Irresistible. This is one of the most thrilling Chilean Sauvignons ever, at an extremely reasonable price. For who could resist the gorgeous aromatics and zesty fruit on offer from this lovely wine? It’s the perfect accompaniment to any fish course. Another great summer buy, although in a very different style to the wine above. This is a blend of Sauvignon Blanc and Viognier, from acclaimed wine producer Ornellaia, renowned for their red wines. Yet white grapes also seem to find a natural home in Bolgheri on Tuscany’s Mediterranean coast. This example from the 2016 vintage is both aromatic and steely, a delicious wine full of lime cordial fruit which gives way to a lovely mineral edge and a good backbone. Irresistible at a young age, this will stand a few years cellaring. This wonderful Sauvignon Blanc from renowned producer San Leonardo is the antitheses of pungent, unsubtle Marlborough Sauvignon. Offering grassy, lime-cordial aromas and an extraordinary elegant palate, this one deserves to be paired with grilled sea bass. Now for something totally different. This enticing blend of Sauvignon Blanc and Chardonnay – yes, that’s right – offers zesty fruit and a nice point of difference from standard summer white wines. A great example of the innovation happening in Chilean winemaking today. A strong contender for the best rosé I have tried this year, and not just for alfresco dining. You can enjoy this light, zesty and elegant rosé all year round. It is bursting with red summer fruits: the mouth instantly fills with raspberry, strawberry, redcurrants and liquorice. Utterly moreish, a bottle wasn’t enough. So we bought a magnum. Another winning choice sourced by independent merchant New Generation Wines, this delicious gem offers a hell of a lot of wine for the money; lovely dark fruit, spice and vanilla combine with a velvety structure and good acidity to make this a very food friendly red. Mendoza Malbec is always a great summer buy, this example from Bodega Piedra Negra is “a beauty,” – a world away from French Malbec but every bit as welcome. Full bodied, this wine has a powerful and intense nose of red berry fruit, chocolate and vanilla. Expect plum, spice, mocha and damson on the palate, wrapped in a gorgeous, velvety texture. Demands hard cheeses, venison and rib-eye steaks. Is this France’s best value Pinot Noir? I’d say so – bursting with class and summer fruits, this is a wine which proves that the Languedoc can do it as well as Burgundy. Snap it up quick before it disappears.